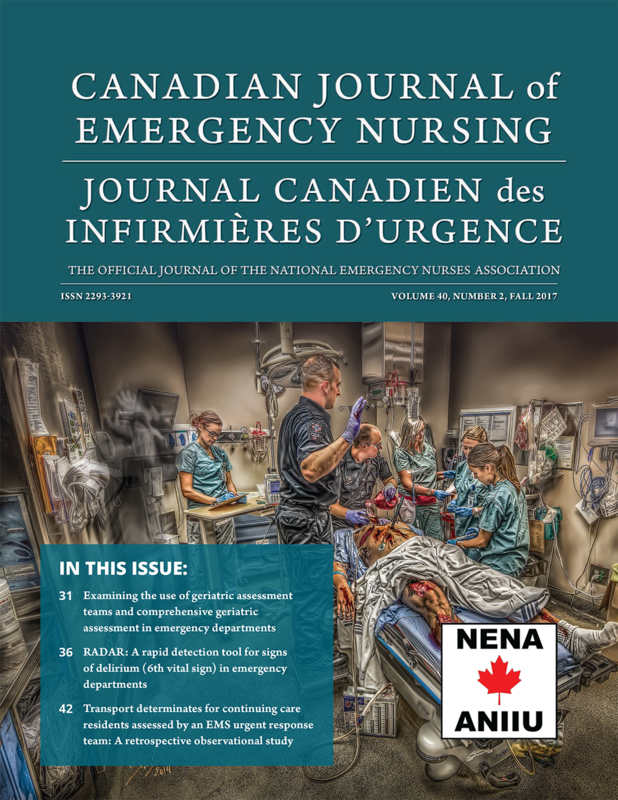 The Canadian Journal of Emergency Nursing/Journal Canadien des infirmières d’urgence is a biannual publication distributed to more than 1,000 members of the National Emergency Nurses Association (NENA) throughout Canada. High-resolution PDF preferred (300 dpi, CMYK). Email files to heather@pappin.com or call for FTP upload instructions. Discounted rates are available for combined print and website advertising. The official website of the National Emergency Nurses’ Association Inc. provides users with information about emergency nursing as a specialty. It includes association, membership and education news, events and information. The website received more than 40,000 unique views in 2018. Supply text in Word for Career/Job Board ads. Supply sidebar ads as 150 px × 150 px JPG, 72 DPI. Forward to heather@pappin.com. Ads will be posted within seven working days whenever possible. Canadian Journal of Emergency Nursing/Journal Canadien des infirmières d’urgence is published for the National Emergency Nurses Affiliation Inc. by Pappin Communications, Pembroke, Ontario.